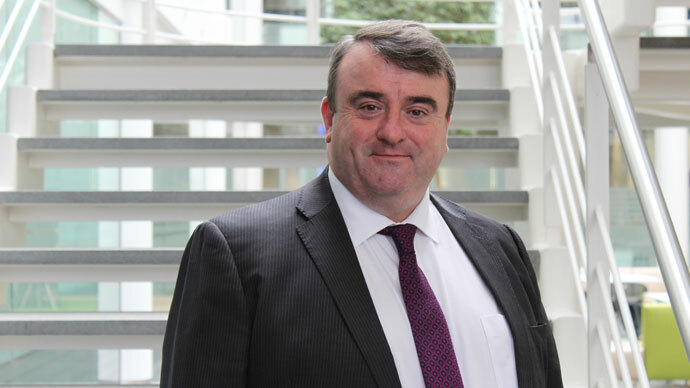 Ahead of the World Mail & Express Americas (WMX Americas) Conference in Miami, we caught up with Liam O’Sullivan, Director, Operations at the International Post Corporation. Liam will be speaking at WMX Americas 2019 and offers his thoughts on the conference and the future of the industry. This interview was originally published on Post&Parcel in December 2018. LO – As Director Operations, I am supervising IPC’s current operational solutions and innovating new solutions, aimed at enhancing cross-border mail and parcel services. For almost 30 years, IPC has been offering operational and technology solutions to posts worldwide to enhance performance and quality of cross-border mail and parcel. IPC’s 42 services and more than 22 applications are used by over 180 posts worldwide. Prior to joining IPC at the end of 2017, I worked at An Post Ireland for almost 33 years, working in all areas of the business and I was a member of the Executive board of An Post from 2004 serving in several director-level positions. LO – At World Mail and Express America, I will focus on the possibilities RFID offers to posts to provide customers with a low-cost tracking solution for cross-border e-commerce. LO – As demonstrated by the IPC Cross-border E-commerce Shopper Survey, the ability to track the purchase is an essential feature for consumers. About 30,000 consumers were interviewed in over 30 markets: the absence of a tracking possibility can be a deterrent for many consumers to buy online cross-border. Cost is a major factor and cost-effective tracking, preferably automated like RFID represent a viable solution. LO – Digitisation is the biggest challenge faced by the industry for the past decade as it has led to a drastic drop in traditional mail volumes, which will continue. However, digitisation, with the growth of e-commerce, offers at the same time the biggest opportunity for the postal industry. Simultaneously, competition in the e-commerce delivery market is also booming. Therefore, posts have to make sure they offer the right features to e-retailers and e-consumers, especially for cross-border e-commerce. LO – I am interested in meeting representatives from posts worldwide, particularly Latin American posts whom are increasingly active in the cross-border e-commerce market. LO – Experiencing the diversity of views and approaches across the different markets and industry sectors. LO – The biggest opportunity for the posts at the moment is e-commerce, more specifically, smaller items. The e-commerce flow of small items has the potential to substitute the decline of letters or even outgrow them if done well. Therefore, posts should invest in e-commerce solutions fitting the needs of the consumers. However, it is a prerequisite that the postal service quality and reliability must operate at a very high standard. LO – The share of mail in the postal revenue has gone down significantly, as posts increasingly diversify their activities. The past five years have seen new forms of competition arising also linked to new technological developments, such as crowd sourced delivery. Within the next 5 to 10 years, posts will have to focus on developing a low cost effective cross-border e-commerce delivery service in order to remain competitive and respond to customers’ needs. LO – Posts have to offer a low-cost high-quality service for cross-border delivery. They also need to increase quality of service and specifically delivery times to be in a more competitive position and be able to benefit from the e-commerce boom. Posts must unite to provide the effect and service of a single worldwide network if they are to continue to maintain and grow their share of the e-commerce market. LO – Cross-border consumers want to have full transparency over the costs of their delivery upon purchase and a hassle-free delivery process. IPC started integrating all its e-commerce solutions (including easy returns, delivery choice, track and trace, etc) into one integrated platform. Through this platform, e-retailers would be able to benefit from a fully integrated cross-border delivery service through the postal network. LO – Blockchain technology has the potential to transform the postal industry. A consumer visiting a post office may use blockchain to confirm their identity. Logistics personnel may use the technology to check on the status of a consignment and enact an associated payment. A receiver may use the blockchain to be notified of delivery, open a parcel locker and digitally accept the package. Several posts are already trialling and integrating blockchain into their operations with the aim of improving services, reducing costs and exploring new markets. LO – Trade barriers and tariff increases are the biggest threat for cross-border e-commerce. Taxes will be a deterrent for people to purchase goods from those markets. It will of course affect exports to these countries. Customers will turn to other markets, but it is likely that the outcome of the US and China issue on postal pricing will ultimately spread to all other posts and, flows and markets. The recent increase of the tax-free threshold for online purchases abroad by the Chinese government is a positive signal for the companies exporting to the Chinese market. Liam will be speaking at the World Mail & Express Americas Conference 2019. WMX Americas is taking place at the Miami Marriott Biscayne Bay (10 – 12 February 2019). Visit www.wmxamericas.com for more information.